Every 40 seconds, someone in the United States suffers a stroke. One of every 18 deaths can be attributed to stroke, while many more lose their mobility, memory,speech or sight. With the actual number of stroke deaths having declined 13.5 percent over the last decade, the question of how to enhance the quality of life for those who survive takes on increasing importance. Stroke affects the arteries leading to and within the brain. It occurs when a blood vessel that carries oxygen and nutrients to the brain is either blocked by a clot or bursts. When this happens, part of the brain cannot get the blood and oxygen it needs, and starts to die. 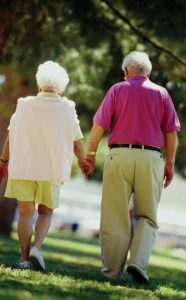 This can result in paralysis, vision loss, memory loss, speech and language problems, and behavioral changes on others for the simplest of things – eating, dressing, grooming, walking. As a result, Parkinson’s disease often affects the entire family. Those factors that can be controlled include high blood pressure, smoking, diabetes, high cholesterol, excessive alcoholic intake, and illegal drug use. The acronym F.A.S.T is a good way for people to remember the signs and symptoms of stroke since with stroke, every minute counts. This stands for Face, which will appear to droop and show an uneven smile during a stroke; Arms, which often will become numb and/or weak; Speech, which can be slurred or difficult to understand; and Time, which is key, with 911 needing to be called at the first sign. Evidence has shown that early admission to an intensive rehabilitation program reduces mortality for stroke patients and ultimately correlates with better functional outcomes. This is particularly important during the first months after a stroke, when the greatest potential for recovery is still present. Prognostic indicators include the type, amount and location of the brain injury; age; the first stroke occurrence; preservation of sensation in the affected side; early motor recovery of affected limbs; early recovery of bowel and bladder control; patient motivation; absence of depression or cognitive impairments; and good family or social support. least two rehabilitation disciples (occupational therapy, physical therapy, speech), combined under the direction of onsite physicians with a special competency in rehabilitation medicine. The first three to six months following a stroke are critical to the patient’s long-term outcome. A severe headache Does it feel like a different type of headache? Like the worst headache of your life? Speech that is slurred Are there problems getting words out or are they not able to speak at all? Does one side of the mouth droop? Does it sound like they have something in their mouth? A problem with balance Do they slump to one side? Are they dragging a foot on the side they are leaning toward? One sign of the body feels weak or numb Can they raise both their arms up together? Are they not able to move one side of the body? Can they feel a touch on their arm? A vision problem Is there a sudden change in your vision? Do you have blurry or double vision? Diagnostic tests include a CT scan, blood tests, and an electrocardiogram. 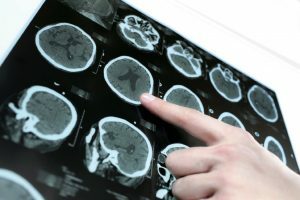 Additional tests will be conducted to diagnose the cause of the stroke and determine the severity of the stroke (such as MRI, duplex scanning, and angiography). Therapy with clot-busting drugs (thrombolytics) must start within 4.5 hours if they are given into the vein, and the sooner, the better. Quick treatment not only improves the chances of survival, but also may reduce complications from the stroke.